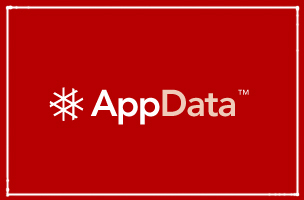 Welcome to the first edition of our AppData Newsletter. We’ll be bringing you biweekly updates on our product offerings, as well as some recent insights plucked from our data. Late last year, Apple flaunted some stats at its iPad event: 60 billion apps downloaded and over $13 billion going to developers since the App Store launched. Though this makes it seem like the app business is thriving (which, in some respects, it is), a new feature from AppData puts it in perspective: There are only 5,000 to 6,000 apps making over $300 a day in the nine countries we’re tracking. That’s a measly half of one percent of the App Store. We’ll also be introducing Google Play revenue estimates soon. In the meantime, take advantage of the new tools we’ve added in the last few months. A new UI lets you see iOS revenue estimates for app and developer profiles. We also have a new and improved search functionality, which allows you to search by app, developer or platform.